Right now, the Reno and Sparks area in Northern Nevada is besieged by an influx of smoke and hazy skies. It’s enough to make a grown man cough and wheeze. The American, Rim, and the fire out in Red Rock are converging to make both our outdoor air quality and indoor air quality less than ideal. 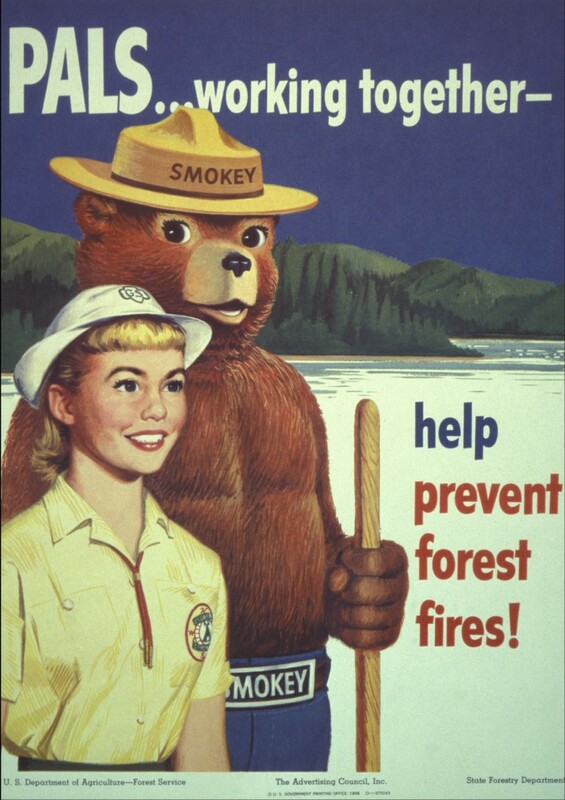 These conditions got me thinking about PSAs from yesteryear and what we did to pitch in to help prevent wildfires and forest fires. 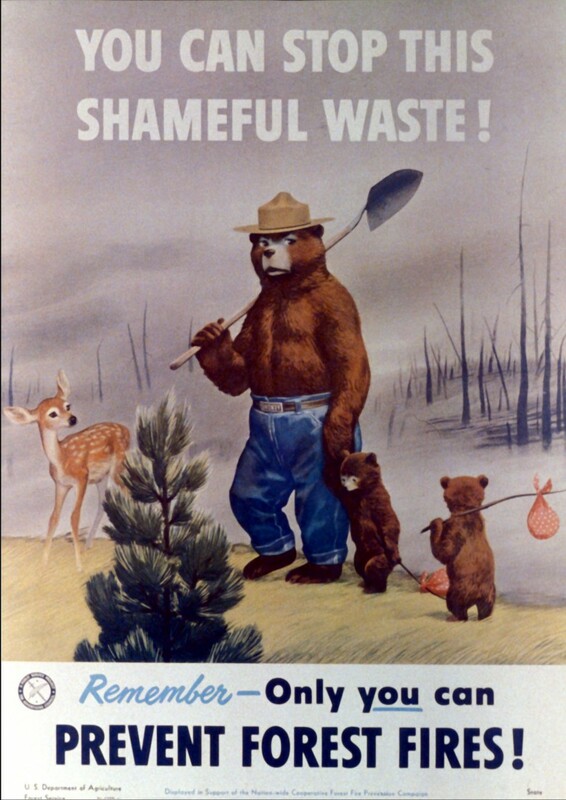 The first image that popped into mind was good old Smokey the Bear. 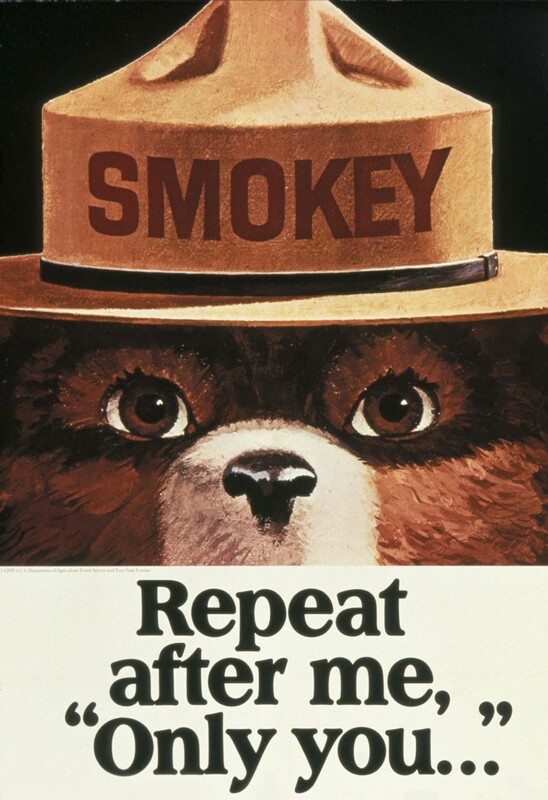 Did you know that Smokey the Bear has his own app on the iTunes App Store and Android Marketplace? 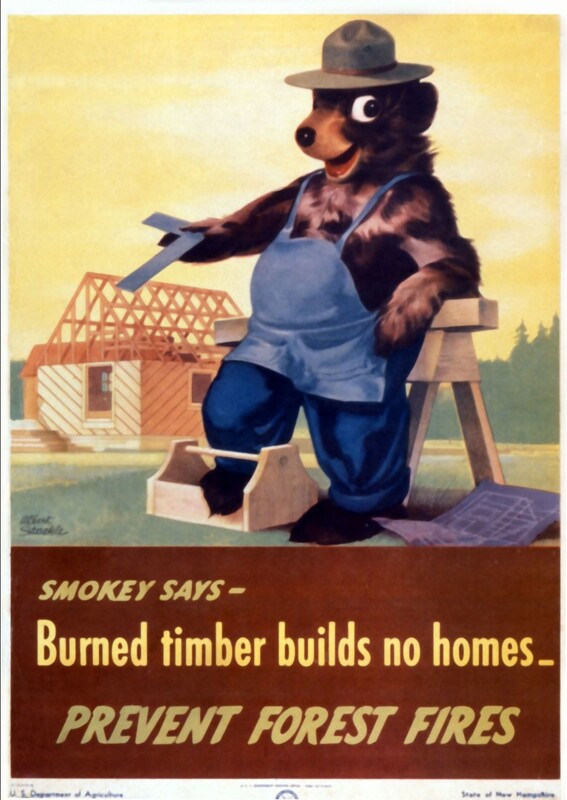 Smokey Bear mobile has a lot to offer; from campfire safety tips to Smokey the Bear wallpapers for your mobile phone. This app is very useful in educating about how to pick a spot for, build and put out a campfire. Beyond that, you can also get up-to-the-minute information about wildfires buring throughout the country by viewing the “Current Wildfires” tab on the app. This app is a great tool for understanding wildfire prevention as well as useful safety tips around campfires. Although the summer camping season is winding down, now is just as good a time as any to download this app and educate yourself to not only prevent wildfires, but also to educate your family on proper campfire techniques. 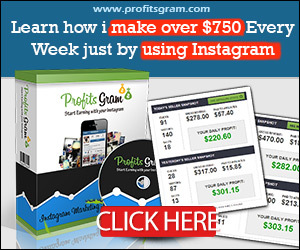 This app has more! 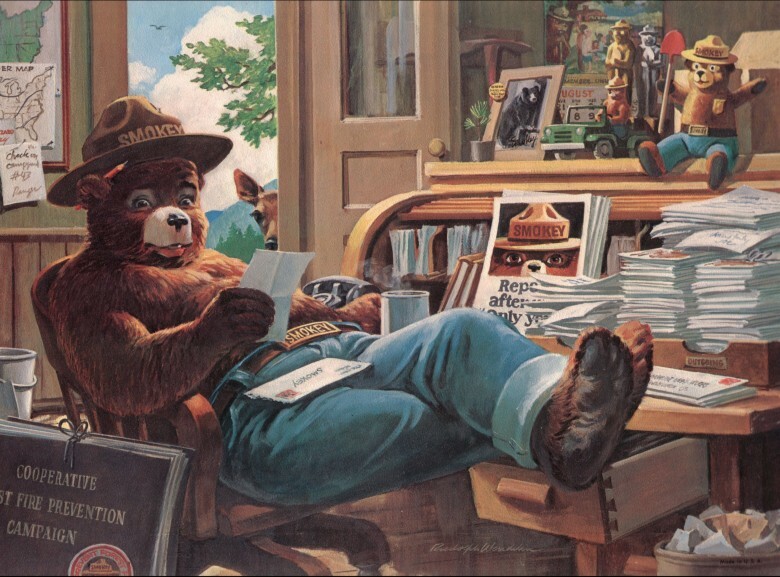 Not only can you learn something by downloading this app, but you can also download classic Smokey the Bear posters to use as wallpapers on your phone and you can connect to Smokey the Bear’s various social media links and watch his world renown and often celebrated PSAs. 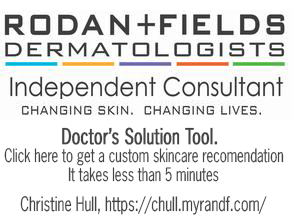 Where: The App Store and Android Marketplace. 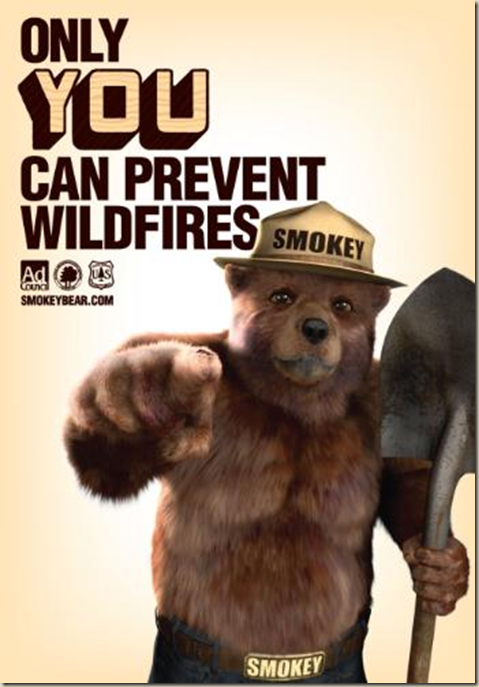 Need to know: This app has campfire safety tips, downloadable wallpapers and links to Smokey the Bear’s social media profiles. Extra Extra: Get up-to-the-minute information about current wildfires throughout the country by viewing the “Current Wildfires” tab in the app. 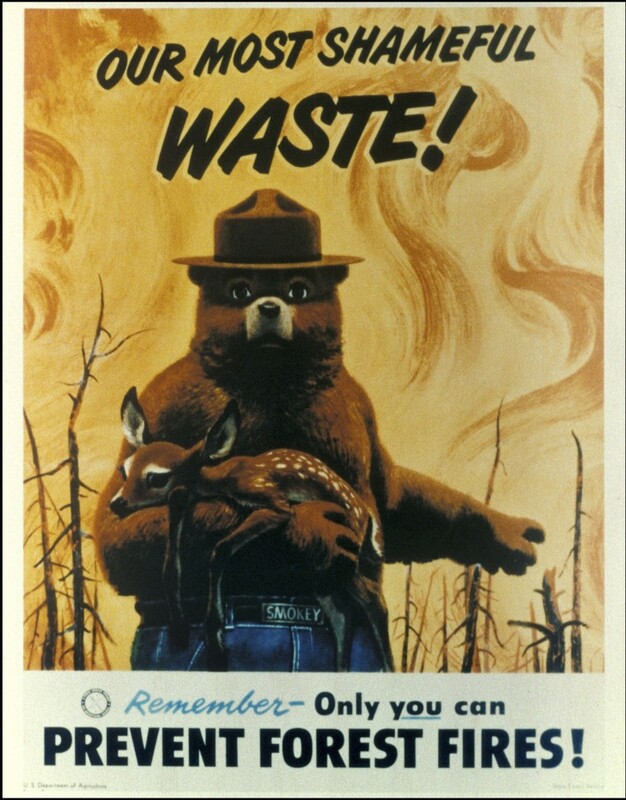 Developed by Animax Entertainment in partnership with The Ad Council along with the National Association of State Foresters and the USDA Forest Service.